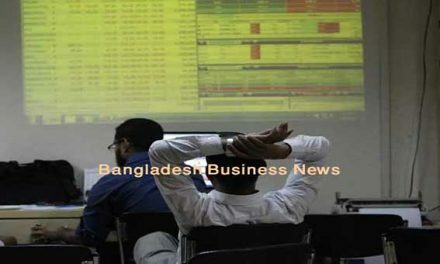 Dhaka, Bangladesh (BBN)– Bangladesh Bank (BB) Governor Dr. Atiur Rahman has advised women entrepreneurs to give emphasize on marketing using modern tools for booting their businesses across the world. 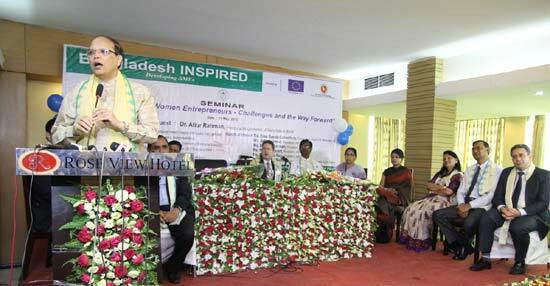 You (women entrepreneurs) have to boost marketing of your products using Internet,” BB Governor Dr. Rahman said while addressing at a seminar on ‘Credit Access for Women Entrepreneurs –Challenges and Way Forward’ as chief guest held at a hotel in Sylhet on Saturday. The central bank chief also advised the women entrepreneurs to establish an informal platform to settle different issues with the commercial banks and the non-banking financial institutions (NBFIs). Leaders of different women trade promotion organizations and entrepreneurs took part the seminar, organized by INSPIRED Project-Component 3 in close cooperation with the central bank of Bangladesh and the Women Chambers and Women Entrepreneurs’ Organisation of Sylhet region. BB Governor asked the banks and NBFIs to focus on agriculture and SME (small and medium enterprise) loans instead of big ones for minimising risk. “There is no bank loan defaulter among the women entrepreneurs. Yet they have to suffer a lot in getting loan from banks and NBFIs,” the governor noted. He also said Bangladesh is doing better than India and Pakistan in terms of development. 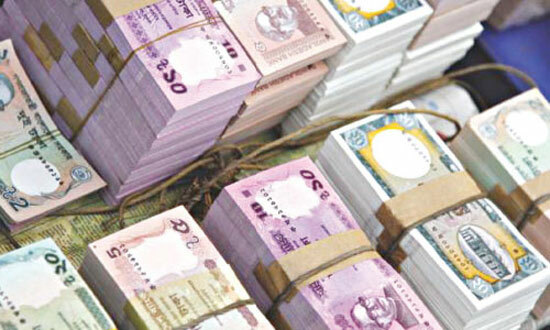 “Bangladesh is not a very wealthy nation, but it is far ahead of India and Pakistan in terms of inclusive growth,” Dr. Rahman said referring to an United Nations (UN) report. Ambassador and Head of delegation of the European Union (EU) in Bangladesh Pierre Mayaudon lauded the pro-active roles of BB under the leadership of its current Governor Dr. Atiur Rahman to facilitate socio-economic development of Bangladesh through strengthening financial inclusion programmes across the country. “Women entrepreneurs may play an important role for development of Bangladesh,” the ambassador observed. Among others, Deputy Governor of the BB Abul Quasem, Sylhet Chamber of Commerce and Industry (SCCI) President Salah Uddin Ali Ahmed, Team Leader of the Bangladesh INSPIRED Ali Sabet and Chief Executive Officer and Managing Director of IDLC Finance Limited Selima R.F. Hussain spoken on the occasion.